the victory was, it gave them great hope. 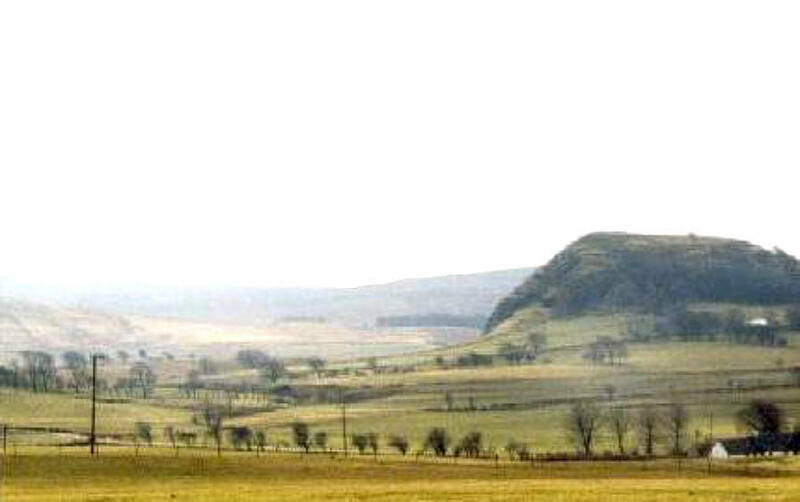 Loudon Hill in Ayrshire, for worship on the Sabbath. some eight miles away and about two miles from Darvel. 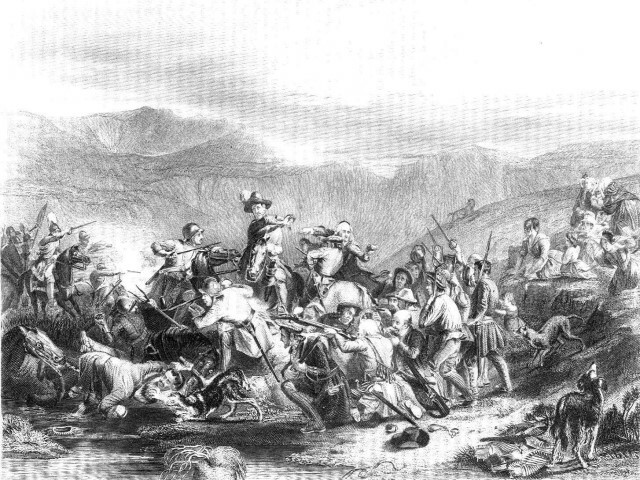 on the morning of Sunday 1 June 1679 at Drumclog. a cause of curses resting on the unhappy Kirk. Douglas Cross at the Glorious Revolution in 1688.
on horses and two hundred and fifty infantry. 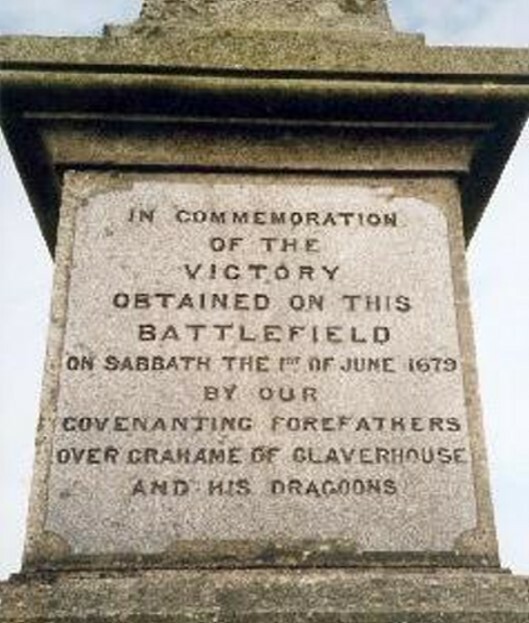 Covenanters as a Lt Colonel, leading the Cameronian Regiment at Dunkeld in 1689.
flight when the people of Strathaven tried to block their passage. They attacked the fleeing troopers in a narrow road called “Hole-Closs”. 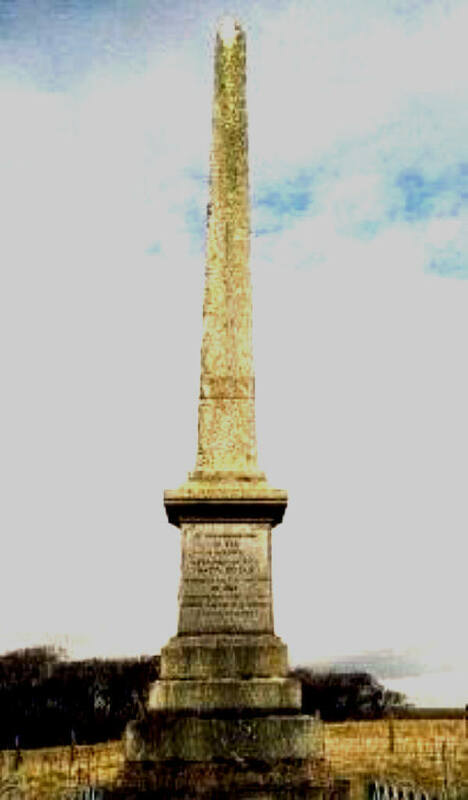 Nearby in Strathaven is “The Trumpeters Well” in which tradition has it a 14 year old trumpeter with Claverhouse`s troop was trapped and ended his life. Bothwell Brig on 22 June. will ye no` stay for the afternoon preachin` ?”.